Can David Johnson Finish as Fantasy Football's Top Running Back in 2018? Returning from injury, David Johnson will look to be the same league winner he was just two seasons ago. Oh how quick we are to forget. Just two years ago, David Johnson ripped the NFL apart and then fed it back to every doubter, negator, and non-believer out there. In a season in which he had 1,243 rushing yards and 879 receiving yards, Johnson showed us that in todayâ€™s NFL, a running back can push the limits, stick his hand into his magical bag of wonders, and challenge for a 1,000-yard rushing and 1,000-yard receiving in a season. He was a true three-down back. So could there have been a more exciting prospect going into 2017? Let me ask you this: what has changed since draft season 2017 to 2018? A wrist injury? 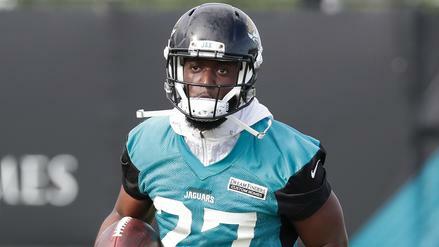 It is not as if Johnson is coming back from knee reconstruction or a barrage of concerning injuries specific to running backs. No, what has changed is the Arizona Cardinalsâ€™ offense. Gone are the days of Bruce Arians, Kurt Warner and Carson Palmer. David Johnson heads into a Cardinals team that is going to be run very differently than in years past, and the question arises: can he succeed and be a top running back in 2018? The first data point that we must look at when examining a running backâ€™s success is volume. The mantra that volume is king holds true. In fact, it is one of the few metrics by which we can see a perfect correlation. The greater the volume a back has, the higher his finish in fantasy. I will not go into the long winded explanation on how this works, however, you can find more on the Running Back Evaluator (#RBE), which details exactly how and why volume matters most for running backs. With this in mind, letâ€™s first take a look at Arizonaâ€™s volume at the running back position over the last three years. Without a doubt, Arizona relies heavily on the run game. In 2015, with David Johnson a third-round rookie pick, Chris Johnson was the workhorse in Arizona. 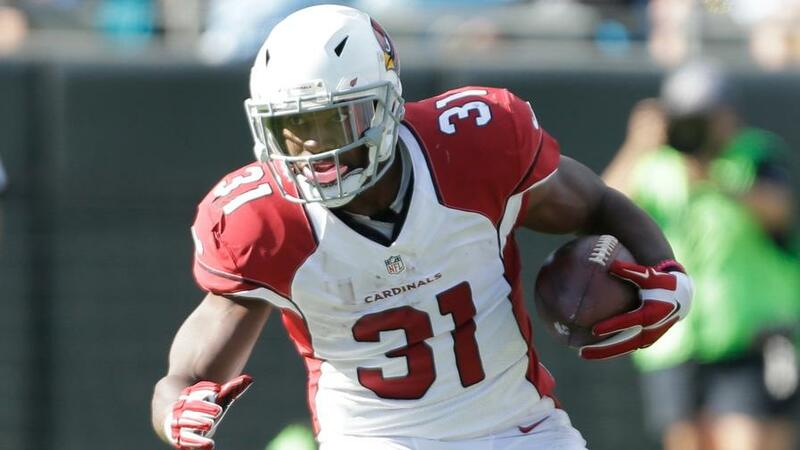 He averaged 18.4 touches per game (202 touches on the season), however, David Johnson finished a lot higher in fantasy due to his large number of touchdowns. In 2016, the latter averaged 23.3 touches per game (373 touches). And in 2017, with David Johnson out, Adrian Peterson, over nine games, averaged 24 touches per game (144 touches) while over 15 games, Kerwynn Williams, averaged 9.0 touches per game (135 touches). If we are just looking at past history of the Cardinalsâ€™ offense to determine Johnsonâ€™s future production, then we would be looking at very different teams. The 2018 season will be a different story, with defensive minded Steven Wilks at the helm. He has also brought in Mike McCoy as his offensive coordinator. 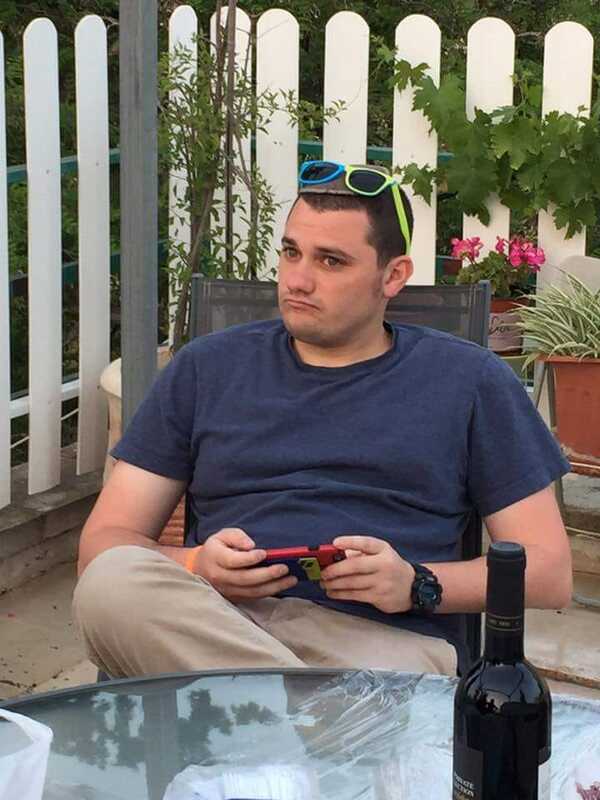 Because Wilks is a defensive mind, we have to rely on McCoy as the guy who will be making the offensive play calls. In the last five seasons in which McCoy has held a head coaching or offensive coordinator job, he has had a wide range of results with running backs. With the outlier of Branden Oliver in a lost season with the Chargers, McCoy has had workhorse backs in each of his coaching seasons. From this we can derive that a McCoy-coached running back is going to be fed the ball (In terms of points per game, a value of 0.7 to 0.9 is considered very good. Le'Veon Bell and Todd Gurley both had 0.9 fantasy points per touch per game in 2017). If we combine both that data from the past three years in Arizona with that of Mike McCoyâ€™s history with running backs, we see that the average number of touches a running back gets on average is 280. We have to note that this is 87 fewer touches than Johnsonâ€™s stellar 2016 season, however, none of the backs, outside of Johnson himself, have ever been on the elite status of running backs. It would not be out of the realm of possibilities for Johnson to find his way into 300+ touches on the season. Since 2010, there have been 62 running backs who have had 300 or more carries on the season. Only 4 out of 62 have finished outside the top 12 running backs and none have finished outside the top 24. With that in mind, the likelihood of Johnson having a top-12 running back finish are fairly good (94% based on the numbers). Another aspect of volume when it comes to the success of a running back is their team competition: how many touches are they competing for with other backs. 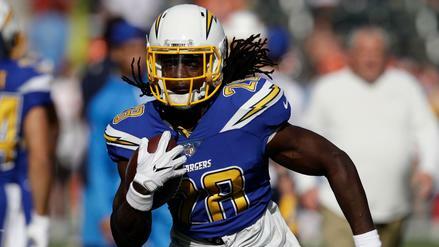 If we look at recent Cardinals teams and McCoy-coached teams, none have gone with a committee backfield, with the exception of the 2017 Cardinals -- after David Johnsonâ€™s injury -- and in 2014, when the Chargers employed an interim committee backfield of Branden Oliver and Donald Brown. Combine this with a lack of talent on the 2018 Cardinalsâ€™ roster, and you will find that David Johnson is in line for a very large workload this season. If I were making a prediction on David Johnsonâ€™s volume in 2018, I would not put down fewer than 330 touches. The reason is simple. Combine the coaching and Johnsonâ€™s talent with the lack of talent on the offense and you will see that outside of Larry Fitzgerald, the Cardinalsâ€™ playmakers just do not exist. Let us also look at other aspects of the offense in Arizona. With the departure of Carson Palmer, the Cardinals brought in Sam Bradford and drafted rookie sensation Josh Rosen. With the coaching changes, so too come the changes with the quarterback. Examining Bradford first, we see that in his entire NFL career, two things stand out. The first is that health is an issue. He has played all 16 games only twice in his career, both in St. Louis, in 2010 and 2012. Do we expect Bradford to start this whole season? Any betting man would say no. The second is his track record with running backs. Outside of the three seasons with Steven Jackson with the Rams, Bradford has had no top-tier running back talent. This season will be the first time Bradford has the potential to play under center with a top back in the league in his backfield. However, we must also not forget about the rookie knocking on Bradfordâ€™s door. The Cardinals moved up in the first round to draft UCLAâ€™s Josh Rosen with the ninth overall pick. Regardless of what you may think of Rosen and his future, having a rookie quarterback come in may seem like a a factor that would cause Johnsonâ€™s production to drop in 2018. However, rookie quarterbacks often come into failing situations with the hope that they will change the narrative. Over the last 8 seasons, there have been 28 rookie quarterbacks to enter the league and become a starter. Of those, 9 have had top-12 running backs in their rookie season. The common denominator is that these quarterbacks came into the league with a top end workhorse back. The team may have been struggling in multiple areas but RB was not one of them. That is exactly the case here. Rosen coming to the Cardinals should have no effect on Johnsonâ€™s production. In fact, with Johnsonâ€™s pass-catching abilities, Rosen, when he starts, should be able to rely heavily on Johnson as a check-down option when the play falls apart or when the line fails to hold out the pass rush. Speaking of that offensive line, the only real knock against Johnson's 2018 prospects is the big uglies in front of him. In 2017, the Cardinalsâ€™ offensive line ranked 31st overall and 30th for run blocking, according to Pro Football Focus. Cardinalsâ€™ backs averaged -0.21 yards before contact on outside zone runs even though Arizona ran that concept more than 40 times throughout the season. As a whole, the line gave Cardinalsâ€™ running backs only 1.14 yards before contact, which ranked 29th in 2017. However, the Cardinals have seriously addressed their offensive line this offseason. Steve Wilks has said he values a run-first offense, and running more play action plays. Wilks and McCoy believe they can have the offense run through David Johnson, while using a quick rhythmic passing game. To effect these changes in scheme, Wilks brought in offensive line coach Ray Brown. This run-first style of offense is perfect for Brown, who is coming over after seven years with the Carolina Panthers, a predominantly run-first offense. He helped to build some very good young offensive linemen over his tenure with Carolina, and, if anything, the offensive line cannot get worse than it was in 2017. There is a very high probability of Johnson finished at the top of this year's running back rankings. Every one of the top four backs being drafted -- Gurley, Bell, Elliott and David Johnson -- are poised for success. Each have posted incredible seasons in years past. However, each comes with a caveat. 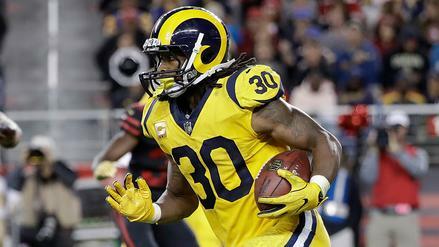 When looking at Gurley, questions arise in efficiency. Gurley had just such an incredible 2017 season that it would be nothing short of a miracle if he was able to repeat. With a vastly improved defense and improved weapons for Goff, it wouldnâ€™t surprise me if Gurley took a small step back this season. Bell, who perennially is a top back in the league, enters a season where yet again questions arise about his commitment to the team, and while everything else points to a potential top season for Bell, these questions and hold outs make for a potentially turbulent season for Bell. When we look at Elliott, the offense and defense around him seem to be the big questions. The Cowboys did nothing to improve the offensive weapons that Elliott will get to play with, following the departures of Jason Witten and Dez Bryant. That being the case, Elliott should naturally face more stacked boxes as the guy to key on for Dallas. However, with Johnson, it seems that the offense has only gotten better. They have improved the offensive line, the weapons have either stayed the same or gotten better, the quarterback situation is exciting and new, and the coaching staff has changed. Johnson is primed, locked and loaded, and ready to be shot out of the barrel. With the questions surrounding the other top backs this season, he could finish as the top running back in 2018.